Over the past year, the Oregon Department of Transportation and the Federal Highway Administration, in partnership with the City of Portland, have been conducting an environmental study, also known as an Environmental Assessment, for the I-5 Rose Quarter Improvement Project. The Environmental Assessment is a thorough, easy-to-understand report of the benefits and impacts of the project. The Environmental Assessment will now be released in February 2019. This new release date will allow the team to complete the evaluation and make it reader-friendly to more easily facilitate community input. Once the study is published, the public can review and comment on the study findings during a 30-day comment period. 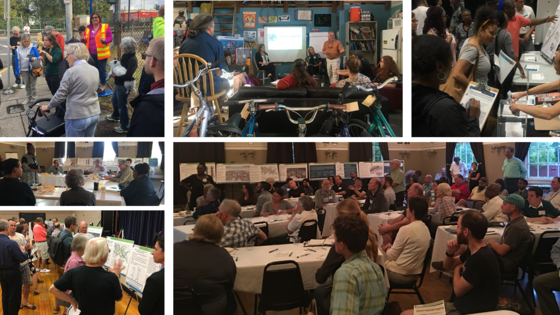 With the revised publication date, community members have additional time to review the project website and materials to learn more prior to the release of the study. The I-5 Rose Quarter Improvement Project was created with input from the local community, by the City of Portland and ODOT. It will improve both local streets and I-5 in the Rose Quarter area resulting in a more reliable, safe, and connected community that will keep people moving, whether you walk, bike, roll, drive, take transit, use local streets or the highway. Learn more about the I-5 Rose Quarter Improvement Project at the project website, www.i5RoseQuarter.org. What's included in the study? How can I review and provide feedback? 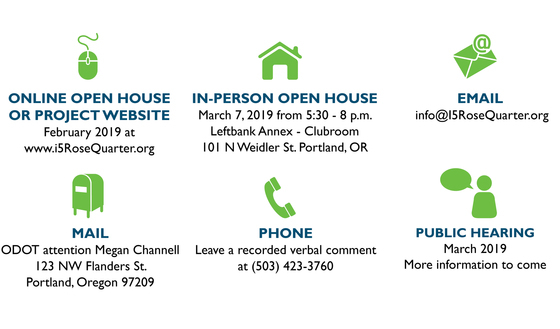 Over the years of project development, ODOT and its partners have received input from many diverse stakeholders, including neighborhood, freight, bicycle, pedestrian, regional agencies and other community groups through open houses, community forums and a community advisory group. Additional opportunities to learn more and comment during the public review period will be announced soon. What is a formal “Environmental Assessment”? Because the I-5 Rose Quarter Improvement Project utilizes federal funding, it must follow the Federal Highway Administration’s (FHWA) National Environmental Policy Act (NEPA) process. This process allows transportation officials to make project decisions that balance engineering and transportation needs with social, economic and natural environmental factors, such as noise, air quality and traffic patterns. 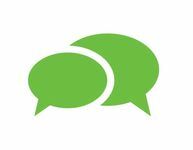 During the process, a wide range of stakeholders, including the public, businesses, interest groups and agencies at all levels of government, provide input into project and environmental decisions. The environmental study for the I-5 Rose Quarter Improvement Project is formally called an Environmental Assessment (EA). The intent is to ensure that the appropriate criteria and environmental factors are considered and made available for public input and comment during decision-making. The EA evaluates the benefits and impacts of two alternatives: one in which the project would move forward as planned, and one in which the project is not built. After the EA is formally submitted to FHWA, they will review it along with public comment prior to developing the NEPA decision document. 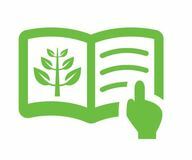 Download a factsheet about the environmental study process.